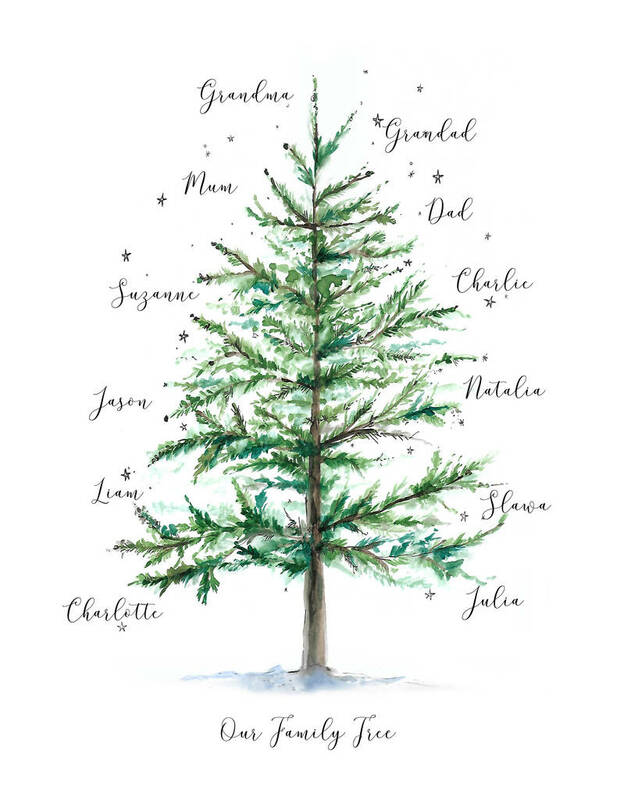 Treat someone you love with a beautifully illustrated and personalised family tree this Christmas! Printed from an original illustration by designer Amy Swann, with your names added in an elegant calligraphy font. 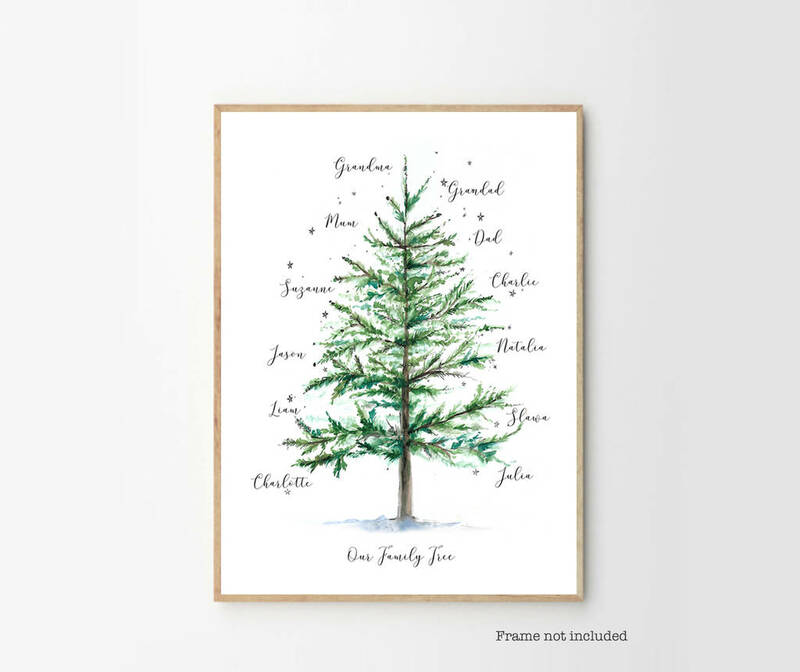 Your tree will be printed on high quality textured white paper, and is sent ready to frame (please note: frame not included). 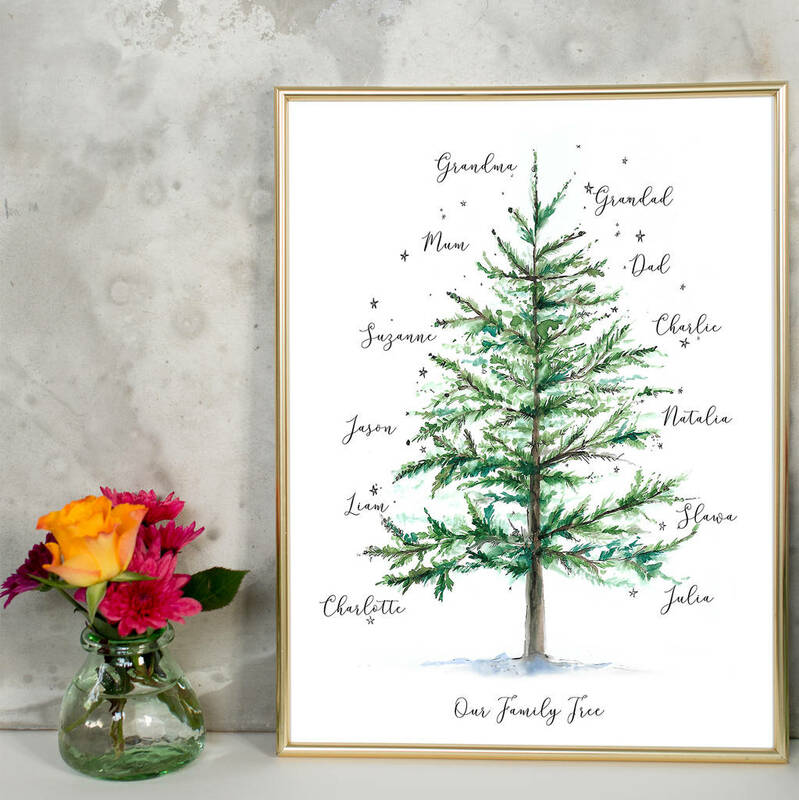 The magical family tree is painted in a timeless style and printed on a made-to-order basis. 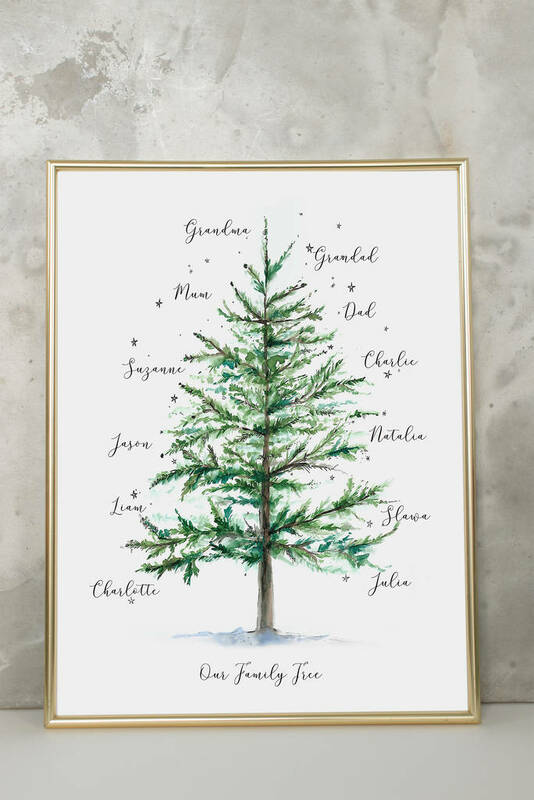 Your names will be added down the length of each side of the Christmas tree as shown. Up to 12 names; first names only please. Please fill in the order form carefully, with names in the correct positions. Contact us to ask for help if you're not sure. Please check your spelling carefully, as mistakes cannot be rectified. Do check your email (including junk folders) after placing your order, just in case we need to ask you anything about your order. W32cm x H46cm. Unframed but suitable for trimming to fit a 16 x 12" frame.